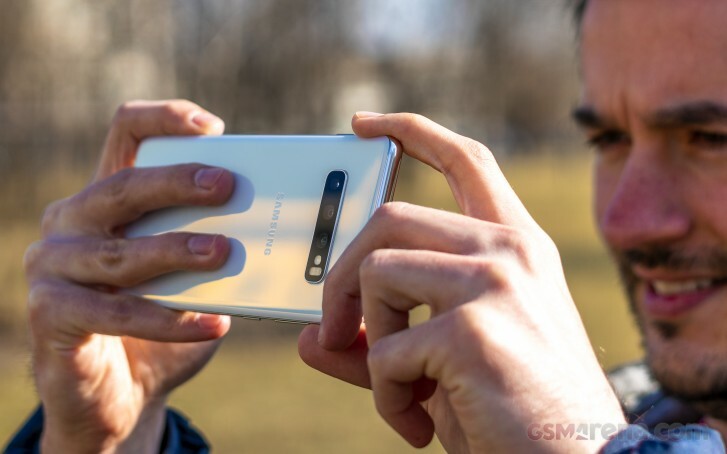 Samsung's new triple-camera setup on the Galaxy S10 and S10+ is undoubtedly one of the key selling points of handsets and it appears that DxOMark thinks so as well. The overall score is 109, which matches the Mate 20 Pro and the P20 Pro. And interestingly enough, the Galaxy S10+'s photo and video scores are 114 and 98, respectively, which are also the Mate 20 Pro and P20 Pro's camera scores. However, the Galaxy S10+ excels in the selfie department. In fact, according to DxOMark's selfie ranking, the Galaxy S10+ takes the lead with the Note9 following closely behind along with the Pixel 3. Back to the Galaxy S10+'s camera quality. The phone appears to have wide dynamic range, good exposure, accurate color reproduction and convincing bokeh simulation. The video recording capabilities are also outstanding with the smooth framing and image stabilization standing out the most. Of course, nothing is perfect so DxOMark reviewers made a few remarks regarding loss of fine detail and sharpness across the board and some ringing in bright light. But in the end, the Galaxy S10 and S10+ are going to be the phones to beat in 2019 when it comes to camera performance. This is the last thing I'd be worry about :). Moreover I don't mind if Google is spying on me but I do mind if Huawei will do it.